(ISBN 3-935161-00-X) Features experiments, written assignments and extensive background information, including manyreal life examples of fuel cell applications. Correlated to the National Science Education Standards and the Benchmarks For Science Literacy, as well as some individual state and provincial curriculums. Experiments include guides for both students and teachers. The student guides provide suggestions for experiment planning and evaluation, and highlight the appropriate scientific principles of the lesson. The teacher guides offer specific information on lesson objectives, experiment set-up and desired learning outcomes. Experiments can be carried out individually or in groups. Comprehension and composition skills are targeted with extended readings and written answer questions. 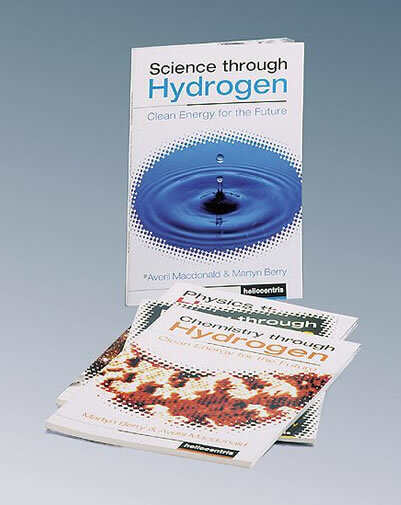 Written assignment activities are set in the topical context of hydrogen technology and energy sustainability. Teamworking skills are encouraged in debate/discussion exercises.